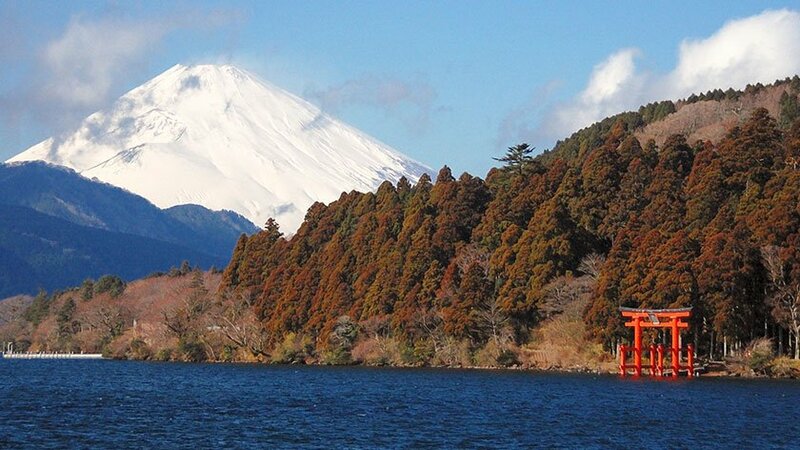 The Hakone Round Course is a popular day trip from Tokyo that allows travelers to enjoy Lake Ashi, lush forest mountains, and a fantastic view of Mount Fuji on clear days. 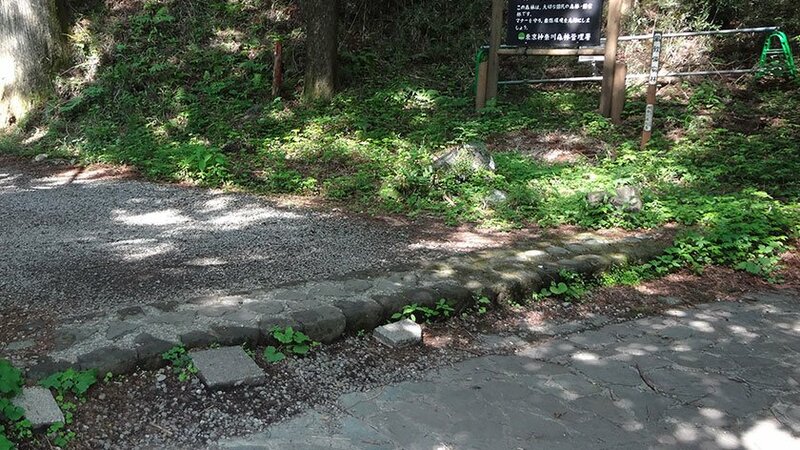 Despite the mountainous location, the Hakone Round Course itself is wheelchair accessible. However, deviating from the course is very difficult in some areas due to very steep roads. During the Edo period, Hakone was the site of a major barrier and official checkpoint – known as the Hakone Checkpoint (Hakone sekisho) – on the Tokaido highway connecting Edo with Kyoto. All travellers entering and leaving Edo on the Tokaido were stopped here by officials to have their travel permits and baggage examined to enforce laws that restricted the travel of women and weapons by the government. The course itself is quite accessible, however, many of the roads in the area are very steep so it may not be possible to explore outside the normal route. To reach the start of the Hakone Round Course at Hakone-Yumoto Station, travelers take the Odakyu Line’s Romance Car express train. As with the Shinkansen, a special seat is available for wheelchair users. 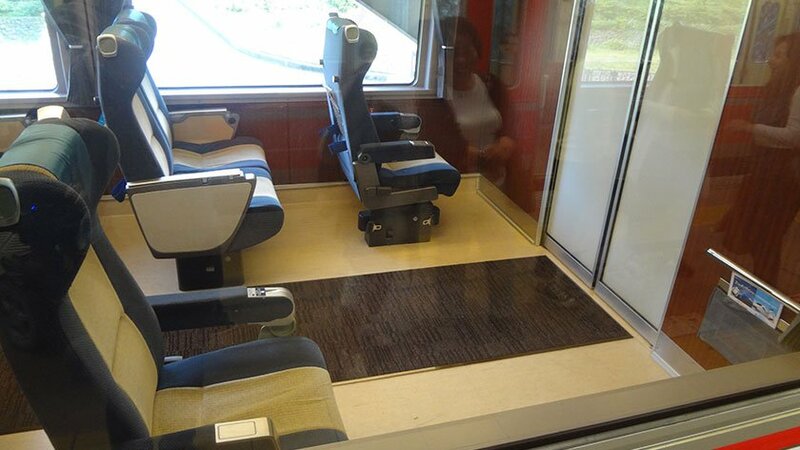 The seating depends on the model of the train can be either one seat or two seats wide. The one-seat version can mean that a wheelchair may stick out into the aisle slightly. 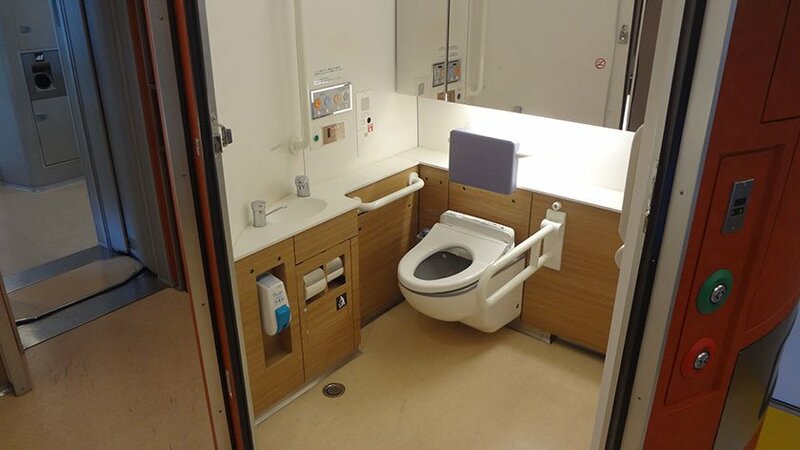 The romance car also has an accessible washroom available near the accessible seating. The Hakone Tozan Railway is a switchback railway which changes directions several times as it climbs 300 meters in altitude through a lush forest from Hakone-Yumoto to Gora. 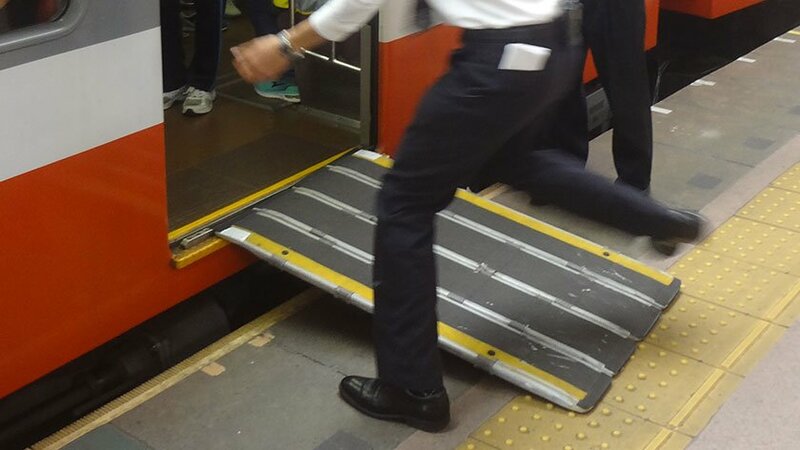 The step to the train from the platform is higher than most trains in Japan and requires a long portable ramp. Unfortunately, there is no dedicated wheelchair space so wheelchair users will need to sit by the door. 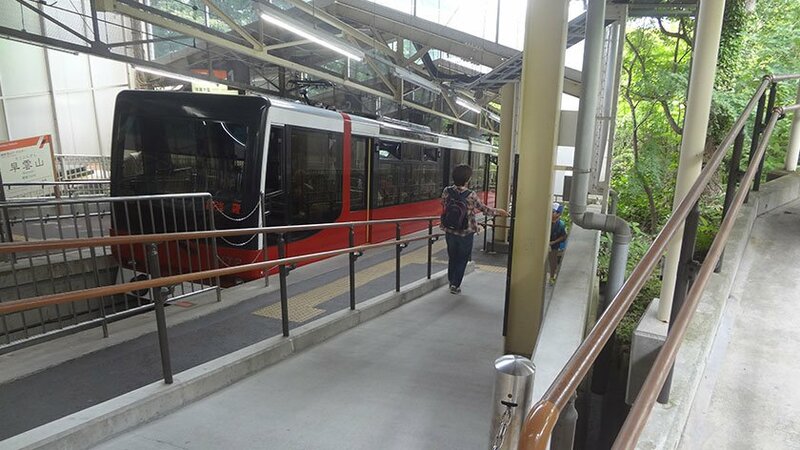 The next stage of the Hakone Round Course is the Hakone Tozan Cablecar – a train that is pulled the tracks by cable straight up the incline from Gora to Sounzan. 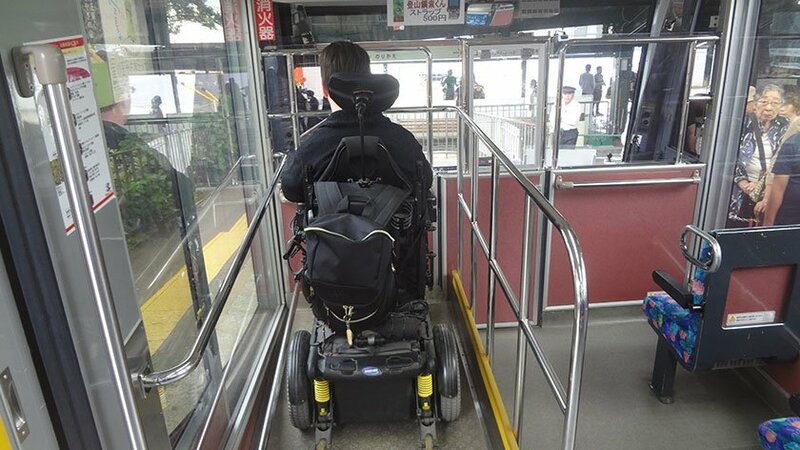 Gora Station and Sounzan Station provide the biggest challenge for wheelchair users (and those with other mobility challenges) as the platform is on a steep incline, and at Sounzan staff will be required to help push wheelchairs to the exit. A very unnerving situation for those in wheelchairs! The train itself has a number of terraces inside the carriage since the floor would otherise be slanted. A special area is available for wheelchair users. The next leg of the trip is a ropeway that crosses volcanic vents and can provide fantastic views of Mount Fuji on a clear day. 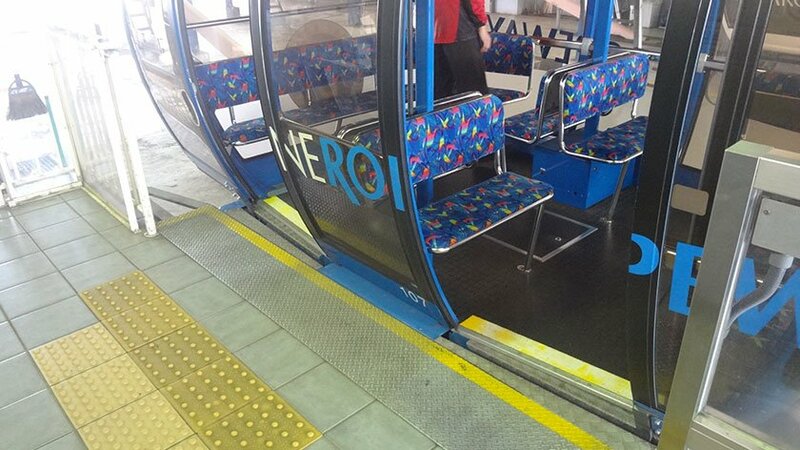 The ropeway is accessible without a ramp and every carriage can accommodate two wheelchairs in the area between seats. 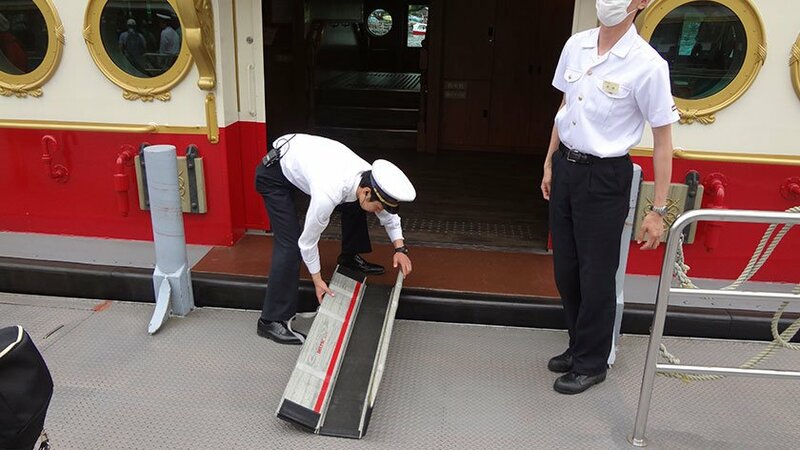 The roapway continues to Togendai on Lake Ashi, but stopping off at Owakudani travelers can see sulfer vents up close. The viewing areas are accessible. The ropeway is occasionally closed for repairs or in stormy weather. In these situations, buses are offered to take customers to Togendai. An accessible bus is available but infrequent. Pirate-themed ferries take travelers from Togendai to Hakone-machi and then on to Moto-Hakone. Portable ramps help users with disabilities on to the boats and some docks are high enough to not even need a ramp. The boats have elevators up to the top deck, but users should be careful exiting the elevator since there are stairs near the door. The Checkpoint Museum at Hakone-machi is a recreation of a checkpoint travelers needed to pass through on the Tokaido road between Kyoto and Edo. It is mostly accessible but has one or two areas that are inaccessible as well as a very bumpy path further near the back. Important Note: The typical path to Moto-Hakone is via an Ancient Cedar Avenue. While it is very pretty, it is also very inaccessible to most users as there are a few unavoidable large steps along the path and the path itself is made of small rocks. From the entrance you can still get a nice view if you are interested. The road to Moto-Hakone is also not recommended since there are no real sidewalks and cars travel fairly quickly along the winding road with many blind-spots. It is recommended that you take the ferry or bus to Moto-Hakone. To complete the Hakone Round Course, take the bus back to Hakone-Yumoto and then the Romance Car to Tokyo. The bus route winds down a mountain, so staff will need to strap down wheelchairs. Wheelchair accessible toilets are available at all stations along the course. Despite the mountainous location and numerous transfers, travelers with disabilities can enjoy the entire Hakone Round Course. Unfortunately, getting to the many hot springs and art galleries is a different matter altogether as many mid-route stations are inaccessible or are on very steep hills.